Lamb cooked until tender with cinnamon, honey, prunes, roasted almonds and finished with sesame seeds. The lamb was perfectly done. Very soft, but not this slow-cooked business. 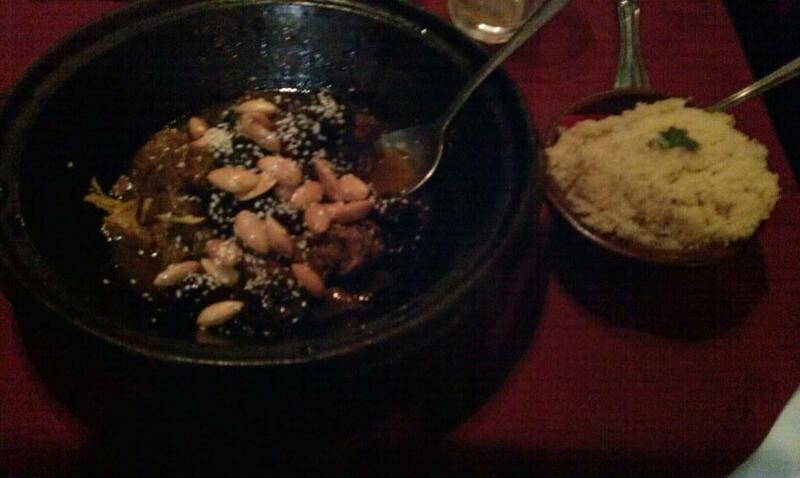 The prunes and couscous went perfectly with the meat and its sauce. The prunes weren’t too sweet, and worked well with the other flavours. I thought they might overpower the other flavours, but it all worked out nicely. 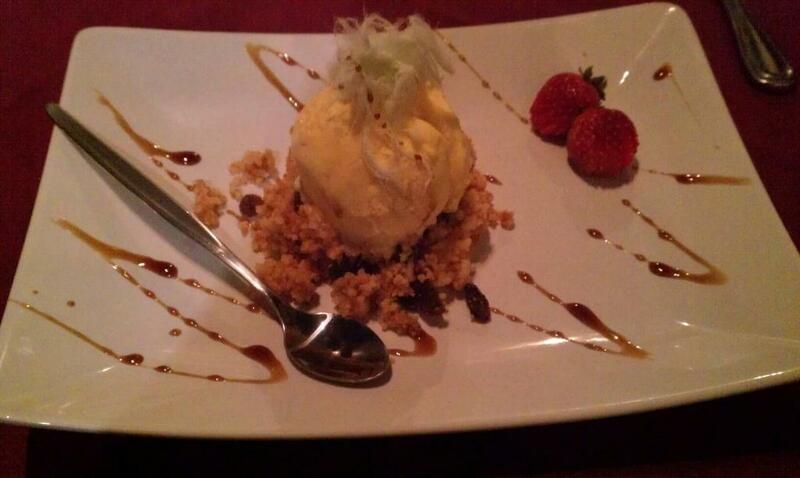 Couscous with ground roasted almonds, honey, cinnamon and sultanas served with cream or ice cream. Sounds suspiciously like my main course. I’ll be cous’d out after this. The couscous and sultana base was like eating breakfast cereal. Breakfast cereal with honey ice cream on top. The irrelevant strawberries didn’t add anything here.